Laboratory water testing is expensive and time-consuming. In addition, there may be no lab around your office, home or farm where you can send a water sample to for testing. 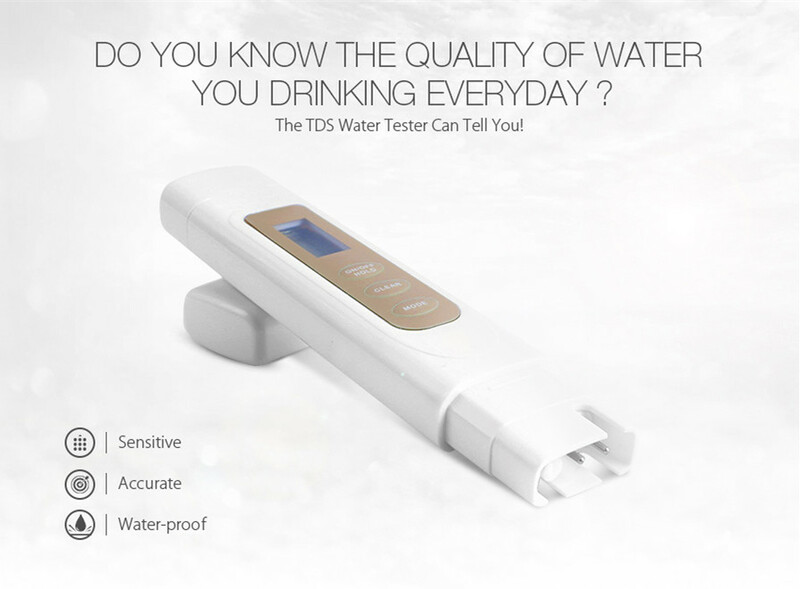 That is why you need the Digoo DG-WT2 which is a sleek, trendy and modern water quality tester that measures 3.1 centimeters by 15.5 centimeters. 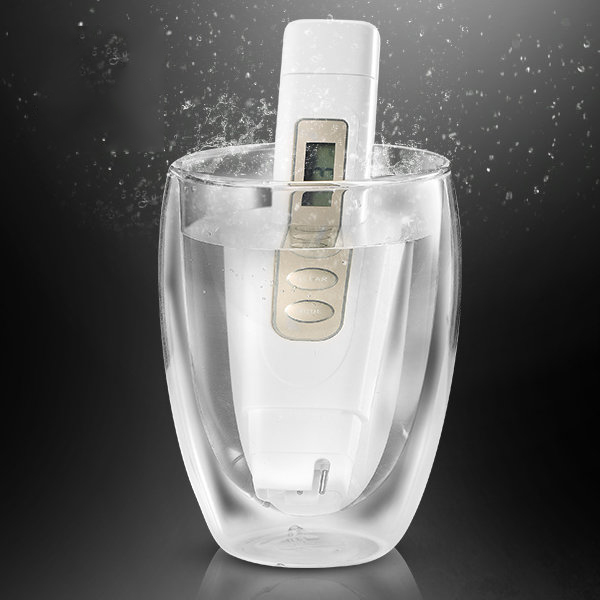 You can use it to test your aquarium, fruits, and vegetables, water filters as well as swimming pools. The Digoo DG-WT2 is 15.5 centimeters long, 3.1 centimeters wide and 2.3 centimeters high which not only makes it pocket-friendly but this kind of dimensions make it easy to move around with especially in events where you have to test samples that are far apart. In addition, it is made of high-quality plastic that is scratch-resistant and smooth making it easy to slide into a bag compartment or a pocket. 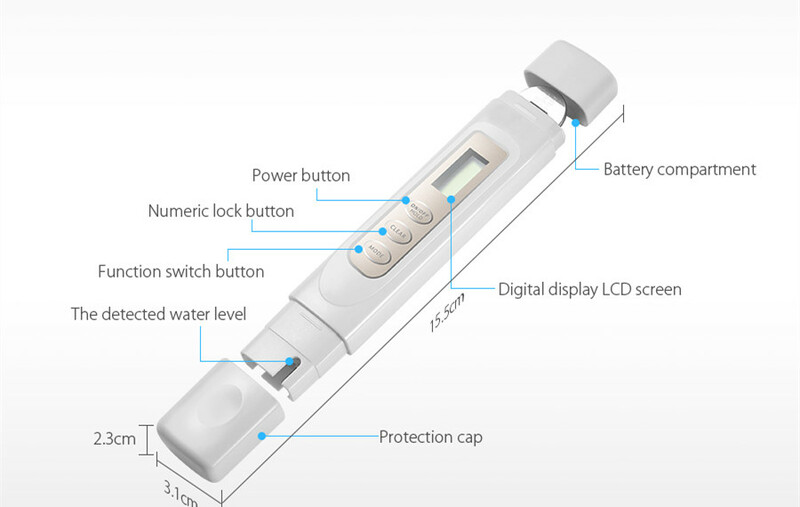 The whole water tester device is water-proof including its big LCD screen and rubber buttons. The significance of this waterproof feature is that the Digoo DG-WT2 is able to last longer as it insulates itself from corrosion even after exposure to potentially alkaline and acidic liquids. The buttons are made of industrial grade rubber making them easy to press therefore minimizing the chance of keying in inaccurate values. 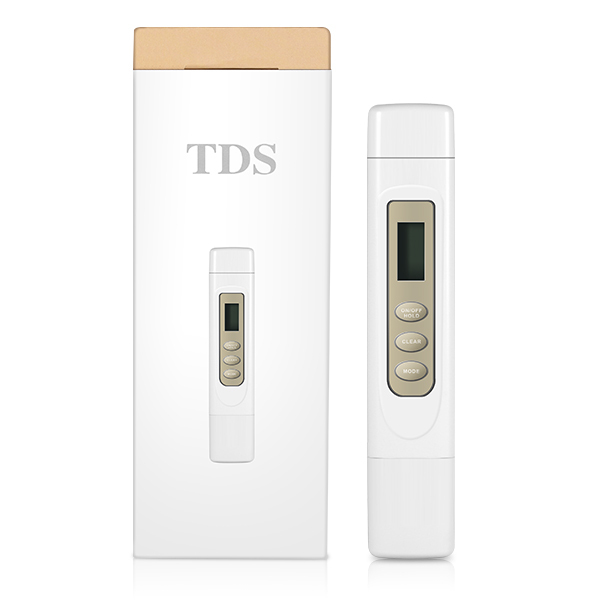 These buttons also come with the capacitive LCD screen which is easy to read and allows you to carry out functions like automatically lock the value while testing, therefore, enabling you to read the values even when the tester is out of the sample. 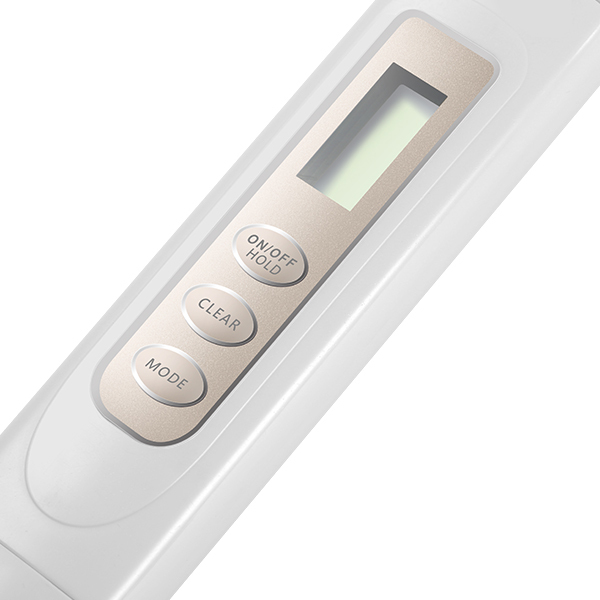 The Digoo DG-WT2 can test the PH levels of a sample while testing temperature. This functionality allows you to monitor the correlation between a sample’s alkalinity or acidity and the surrounding temperature. Further, the product calibrates to a metric of 432 PPM NACL solution calibration with an error margin of plus or minus 0.2% to ensure accuracy. 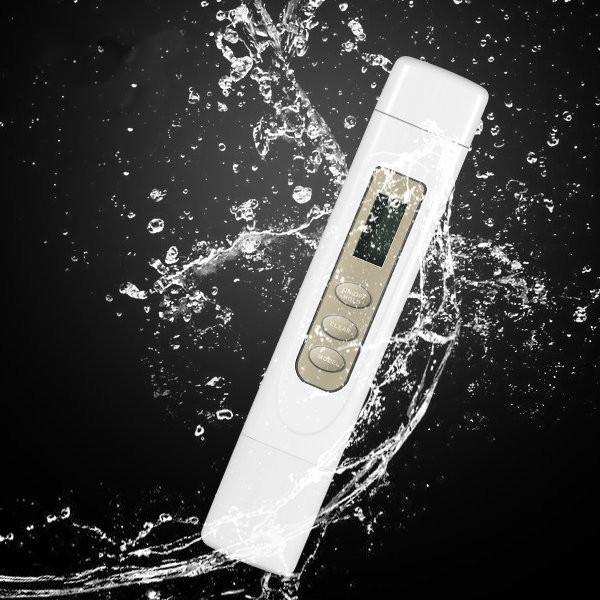 The DIGOO DG-WT2 is powered by a CR2032 DC3V powered battery which can work for up to 3 years. This battery is covered with a battery compartment cap to prevent corrosion by liquids from the sample.The battery is a direct power supply for the Titanium Alloy Water Probe which protects the device from magnetic interference. The DIGOO DG-WT2 is accurate, sensitive and waterproof. If you are in the market for a quality water that that is reliable and can work in a multipurpose environment, then you should buy this one. How to Repel Animals and Insects in Your Garden? Why Should You Buy a Xiaomi pm2.5 Detector?